The Winner Condominium. This low rise 7 storey building is positioned close to the beach on Pratumnak Hill. It was completed in 2015 to modern standards and provides a communal swimming pool and 24 hour security for all residents. Pratumnak Beaches are just 400 metres away, and can be reached easily on foot. This area is very quiet for passing traffic so also very safe. 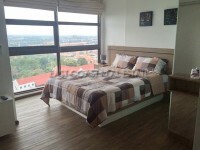 This 36 sq.m one bedroom unit is set on the 4th floor of the building with sea views and sea breezes from the balcony. 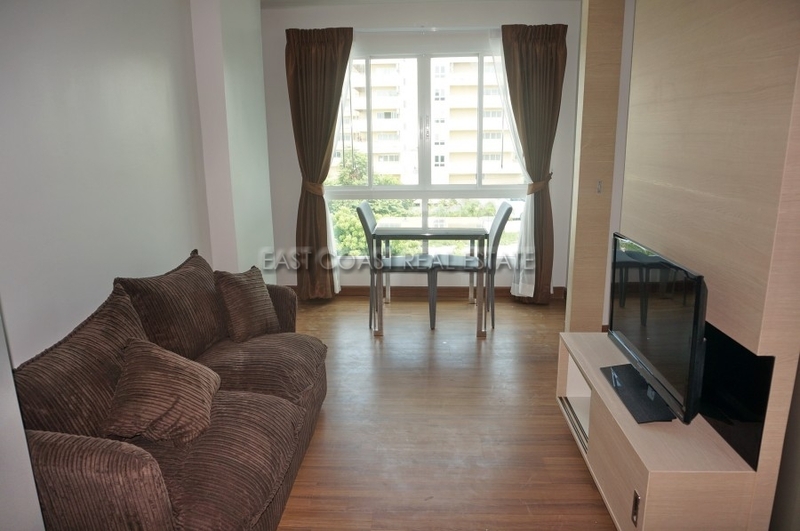 Inside, this apartment has been fully furnished throughout and has a fitted Euro kitchen, bathroom and 2 x air conditioners. Pratumnak Hill has plenty of local shopping options, and it definitely boasts one of the best secluded beaches around. Available for sale in Thai Name Ownership with the taxes & transfer fees split 50/50. It can also be rented for a 6-12 month period with a 2 month security deposit.